We, at Moore’s RV, are so excited that we are now carrying Gulf Stream Track & Trail toy hauler travel trailers! Toy haulers are a great way to bring both fun and convenience on your RVing trips, so let’s take a look at how you can enjoy one of these amazing campers. 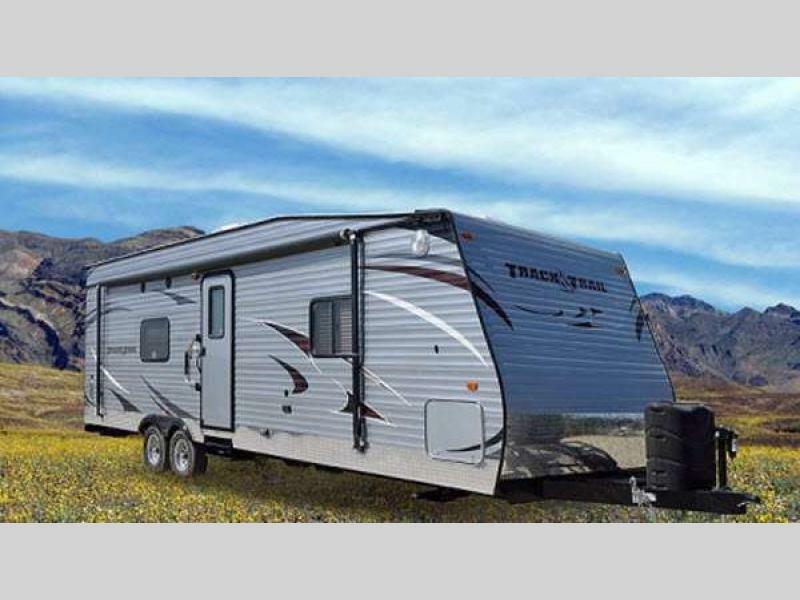 We now have the Gulf Stream Track & Trail Toy Hauler Travel Trailer! 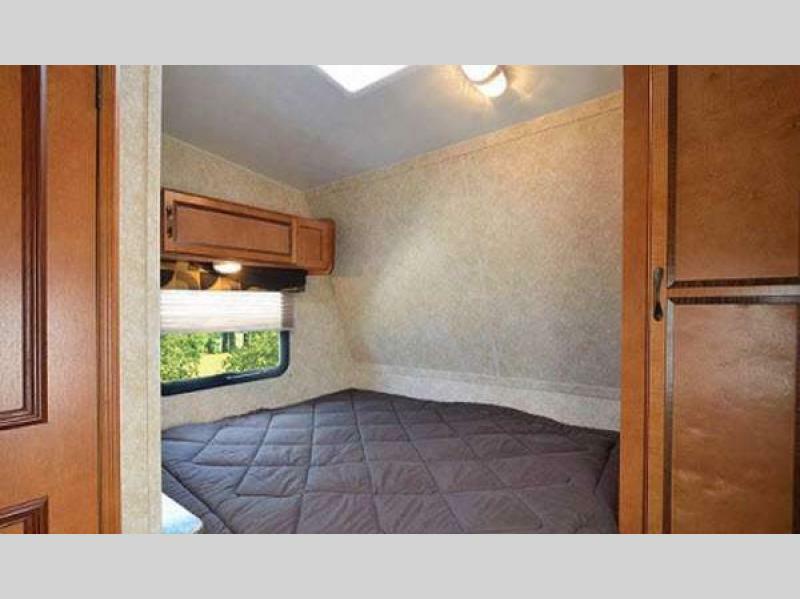 The Track & Trail toy hauler comes in two different floorplans with options to fit from six to eight people. One of the ways that it can fit this many people is by having a cargo area that can be used both while traveling and once you have reached your destination. The cargo area will be the perfect place to store all of your outdoor toys including things like ATVs, kayaks, golf carts, and more. With the easy to use ramp, loading and unloading will be a breeze. The convertible cargo area is perfect for storing outdoor toys and adding interior space. Then, when you have reached your campsite, you can convert this area to another living and sleeping space for the people in your party. 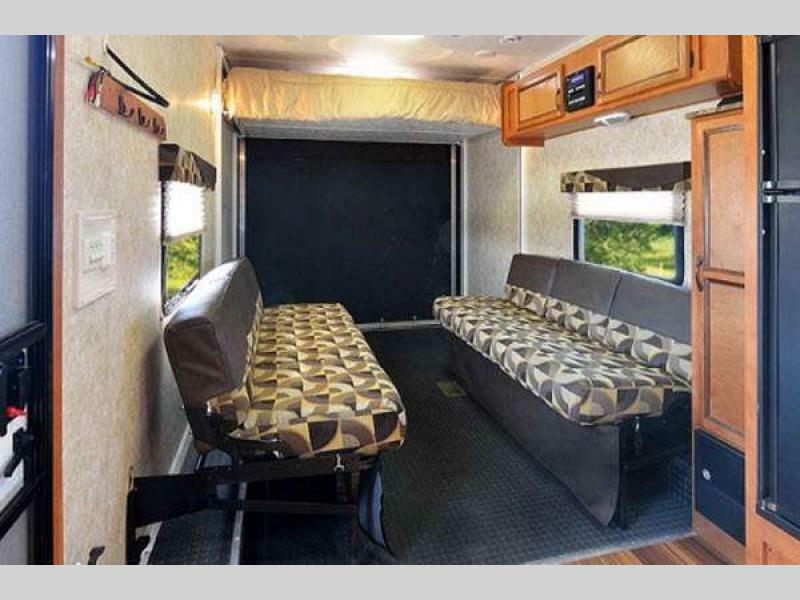 Options like dual flip-up sofas, a pull-down bed with lift assist, or power queen bed will all make an extra place for people to rest and relax after a day of playing outdoors. Take care of everything with the full kitchen and bathroom. 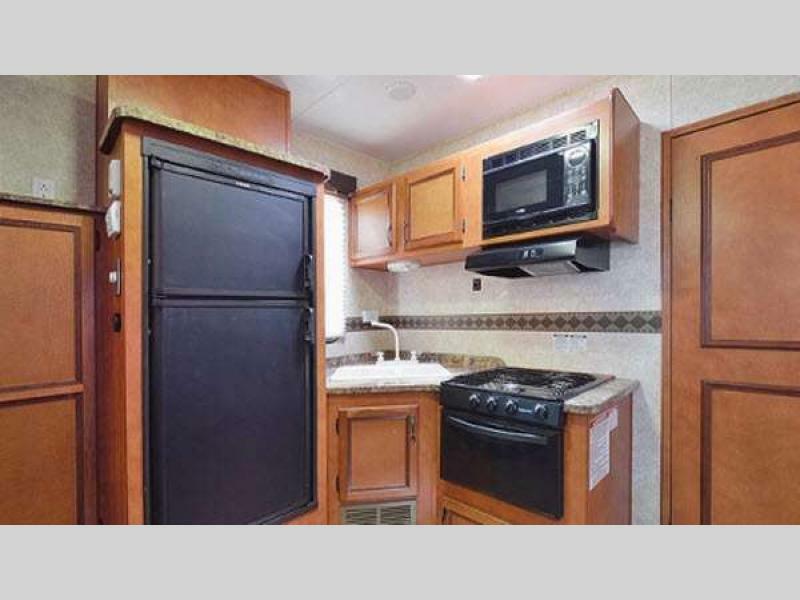 Inside the main part of this Gulf Stream travel trailer, you will find a fully functioning kitchen with a fridge and two or three burner range as well as a full bathroom with foot flush toilet and large tub/shower surround. This way, your camper will have everything you need for a comfortable trip. Spend your days on your outdoor toys and your night rest on the queen sized master. Speaking of comfort, you are sure to find some in the master bedroom. Here you will see the queen bed plus multiple storage locations like the overhead cabinets and wardrobe, so you are sure to have a place for everything. We love when we expand on our already large lot of new and used RVS, and the newest addition is the Gulf Stream Track & Trail! Contact us or come by our location today to check these awesome RVs and see how they can make your next trip better.